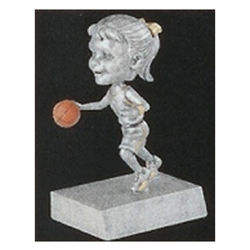 5.5" Female Basketball Rock n' Bop Bobblehead Trophies. This bobblehead has two motions - the heads bops up and down and the body rocks back and forth. The ultimate fun basketball bobblehead trophy.